There are many important benefits to becoming a member of the Royal College of Chiropractors. Read about the benefits of membership in our membership brochure. 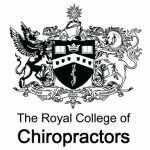 The Royal College of Chiropractors (RCC) is the only pan-chiropractic membership organisation in the UK. It currently has more than 1500 UK members and 2800 members worldwide. Applications for membership are invited from UK-based chiropractors and chiropractors practising overseas. Not registered with the General Chiropractic Council and not eligible for any other category of membership of the College, but with a demonstrable interest in chiropractic, by invitation of the RCC Council. Registered chiropractor enrolled on the RCC’s ‘PRT’ Postgraduate Training Programme. Provisional members may not use any postnominal designation until they have successfully completed the PRT programme. Experienced chiropractors in the process of demostrating PRT equivalence may also be admitted to the Provisional category. Chiropractor practising outside the UK with at least 5 years postgraduate experience who has has successfully completed a relevant, university-validated postgraduate Masters or Doctoral programme. Exceptionally, overseas applicants may be offered MRCC, pending FRCC, if achievement of FRCC requirements is imminent. Unfortunately, the RCC Council is unable to consider overseas Fellowship applications on the basis of experience/activity/achievement equivalent to formal M-level study. Registered chiropractor who has successfully completed the RCC’s ‘PRT’ postgraduate programme, or is able to demonstrate an equivalent achievement. Note that all chiropractors who qualified before 15 June 1999 are deemed as having satisfied this requirement. Only Licentiate members are entitled to use the postnominal designation, LRCC. Registered chiropractor who has met the requirements for Licentiate Membership, and has successfully completed a relevant PGCert programme (or experience /activity / achievement deemed equivalent to 60 M-level credits). Only full members are entitled to use the postnominal designation, MRCC. Registered chiropractor who has met the requirements for Licentiate Membership, and has successfully completed a relevant MSc programme (or experience /activity / achievement deemed equivalent to 180 M-level credits) and has had five years in practice post-completion of PRT. Only Fellows are entitled to use the postnominal designation, FRCC. N.B. All membership applicants require to be admitted by a resolution of the College Council. For what level of membership am I eligible? When applying for membership of the RCC, you may not be sure of the category of membership for which you are eligible. This will be determined from the information you provide on your application form and any further information we might request of you. The application form and guidance on how to complete it are provided in the sub-menu item, How to complete your membership application form. If you wish to apply to progress your membership to a different level, the application form and guidance on how to complete it are provided in the sub-menu item, How to complete your membership progression form. Those chiropractors with qualifications and/or significant experience relevant to one of the RCC’s Specialist Faculties may be eligible to also join one or more of these specialist faculties at Licentiate, Membership or Fellowship level (or ‘Associate’ level if there is a demonstrable interest but no qualifications and/or no significant experience to date). Please read the sub-menu item, Applying to join an RCC specialist faculty. Provisional member (includes PRT fee): £20.83 per month for 12 months. Licentiate/Member/Fellow (Overseas): £125 per year (pro-rated), payable annually. Specialist Faculty Licentiate/Member/Fellow: As above, plus £50 per faculty per year (not pro-rated).